Hello and Welcome to Ecclesfield School's official shop. Please take care to read the following as it's important to make sure that your order correctly gives us the information we need. All orders, other than HOME DELIVERIES, placed by 2pm on Monday will be delivered into Student Services at school on Tuesday at 10am where you or your child will need to collect your order asap. 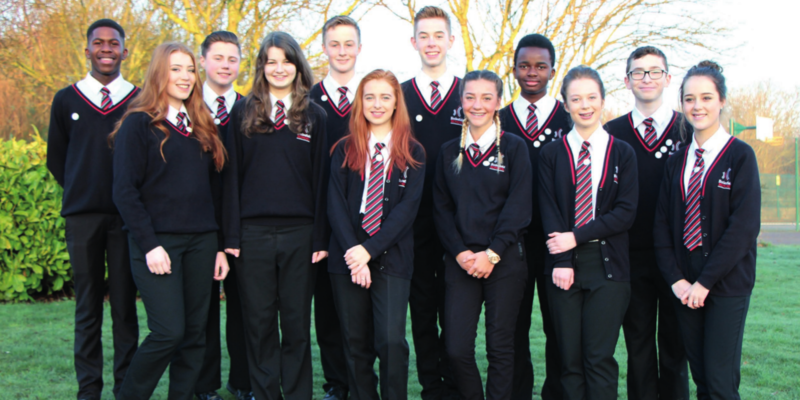 If you are unsure about what you need to wear there is an excellent uniform guide which is on the school site. Click here to view the details. 1) We deliver all goods into school to save carriage costs. If you would like a home delivery then please choose the "Home Delivery Charge" which is the first square box on the uniform page. 2) All prices quoted are without VAT. Some goods attract VAT, depending on size etc. Please look at your shopping basket to see the full cost of goods purchased. 3) PLEASE make sure you enter the learner's full name and form (if you know it) in the special comments box on the checkout page. 4) If you require to exchange any garment please contact us direct and not the school. Once we are notified we will arrange for you to take the return into Student Services. Please note that we are the school's only official supplier. We have no hidden charges and a no quibble policy of working with parents to make sure your child gets the school wear they need. If you have a problem with choosing the correct size, then send us an email and we will help you. This is a good quality black, V neck jumper which is woven with a cotton/acrylic fibre which help.. This cardigan is optional for Years 10 and 11 boys and girls only. This is a black, unisex ca.. The official, custom designed school clip-on tie for Churchill House. It is compulsory .. The official, custom designed school clip-on tie for Franklin House. It is compulsory t.. The official, custom designed school clip-on tie for Nightingale House. It is compulsory to w.. The official, custom designed school clip-on tie for Rowling House. It is compulsory to.. The official, custom designed school clip-on tie for Turing House. It is compulsory to ..
An all cotton T shirt in red featuring the school logo embroidered on the left breast. It's very .. Please note that all learners will need a pair of black shorts for sports activities. 100% po..
A 50/50 cotton/ polyester mix which translates into a durable, hardwearing garment designed to ke..
A school rain jacket made of 100% polyester, finished with a special water-repellent coating. The..
A twin pack of practical school shirts. Keep warm and smart in a quality woven white cotton..
A twin pack of practical school shirts for those warmer days. Look smart and feel cool in a..
Made from a cotton/polyester mix this shirt is available in white and features a button neck coll..
A hard wearing, straight legged, black trouser with a zipped pocket to the rear. They keep their ..
A smart, fully lined skirt with no waistband, 2 side vents and a zip. Made from 100% polyester tw..
A trouser for the girls, featuring a straight leg. The school's minimum required ankle widt..